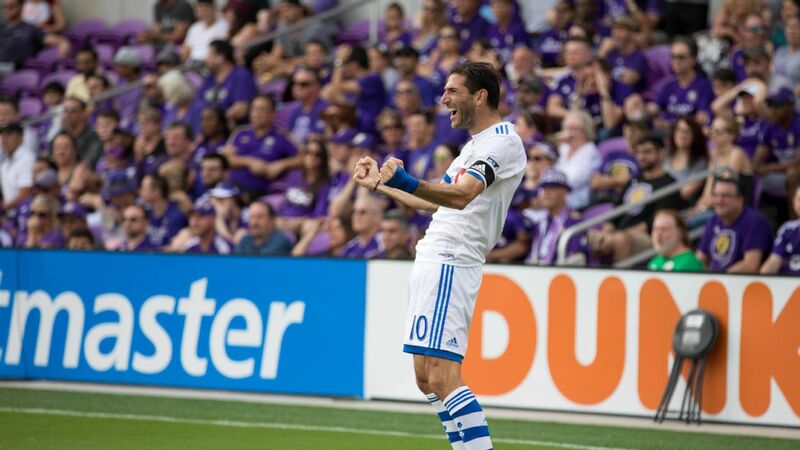 Ignacio Piatti continued his hot form against Orlando City with a brace in the Montreal Impact's 1-3 win at Orlando City Stadium. Even at 34, Ignacio Piatti remains one of the best Latin players in MLS. The Argentine now has 71 goals for Montreal since arriving from San Lorenzo in 2014. Once more, Latino players across MLS provided highlights and spectacular performances to lead their teams to positive results. Starting this season, we've created an award to recognize the best -- and worst -- from players born in or with roots in Latin America. Mike Petke expresses his gratitude for the support of Real Salt Lake fans after the club narrowly missed the playoffs. Real Salt Lake coach Mike Petke was thrilled with the news that his team had exercised its option on Jefferson Savarino. Savarino, 20, joined RSL on loan from Zulia FC in his native Venezuela for the 2017 campaign and the club announced on Thursday that it had signed the winger to a permanent contract that keeps him as one of the team's young designated players. Jefferson Savarino caught RSL's eye after scoring in the Copa Libertadores in March. Real Salt Lake has acquired forward Jefferson Savarino on loan from Zulia in Venezuela and signed him as a young designated player. To make the move, RSL used targeted allocation money to buy down the contract of Joao Plata, who only signed a new DP deal in February. Now more of Plata's $350,000 base salary will count toward RSL's budget.